What’s breakfast without a glass of orange juice? Orange juice may soon be a thing of the past. International researchers along with University of Florida and Florida State University researchers have received a 4 million dollar grant from the USDA in order combat Candidatus Liberibacter spp. a devastating bacterial disease also known as Citrus Greening, or huanglongbing (HLB), or yellow dragon disease, which is known all around the world, affecting many other citrus growing countries and with no cure known. It is slowly killing off large orange production fields of Florida with up to 162,000 acres, as far as 50% of production has been cut in the last 4 years due with a $7.8 billion in revenue lost since 2007. The disease enters the tree through a sap-sucking insect known as Diaphorina citri, the Asian Citrus Psyllid which feeds on the foliage of the plant allowing the bacteria to enter into the vascular system via the phloem and causing it to clog up. 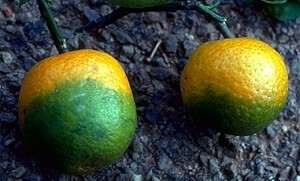 This causes the tree to starve itself from supplying proper nutrients resulting in fruit that is inferior in size, green, bitter which doesn’t allow for sales in the fruit market. There have been limitations such as not being able to culture the bacteria to send the bacteria to other researchers slowing down the process of finding a cure, therefore; scientists are trying a number of alternative different paths, such as; using a bacteria similar in their study trials or by genetically modifying citrus trees with resistant genes from a spinach plant. Chances are, if you ate a fruit this morning, it was likely a banana. Bananas are one of the most readily available fruits in the word, boasting high vitamin and nutrient contents. 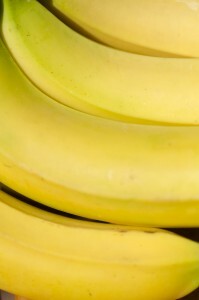 Since the 1950’s, only one variety of banana has been readily available on the global market. This banana is commonly called the Cavendish banana, named after the family who first propagated it in the United Kingdom. Tropical Race 4 of Panama disease has been known to exist for nearly 50 years. However, it hasn’t been until recently that this has posed a major problem for banana suppliers. Panama disease is a type of Fusarium wilt, and once it is present in a location it is nearly impossible to eradicate. Tropical Race 4 is related to Tropical Race 1, which completely wiped out the Gros Michel banana (the predecessor to the Cavendish banana) in the 1950s. Unless a resistant variety is found, banana production could be severely altered in the coming months and years. These issues are largely a result of excluding diversity in the banana population. Bananas are propagated as clones, so there is virtually no genetic diversity in the banana population. This creation of a monoculture has been observed in several prominent historical events. Examples of such events include the Irish Potato Famine and Dutch Elm Disease. While the loss of the banana will not lead to a worldwide food shortage, it is imperative to learn from our mistakes and ensure that diversity is a top priority to maintain good health in our crops. Should Grass-Fed Beef MOOOOOOOve onto your plate? Walking into the grocery store we have two general choices, organic or not. With beef, we have options: grass-fed, grain-fed, (regular) grass-finished, or corn finished. Grass finished means the steer is fed on grain for the first half of his life then his final year before slaughter is finished on grass, corn finished means the opposite. It’s important to understand what grass-fed beef entails since it can be confused with “organic” or “free-range” labeling. 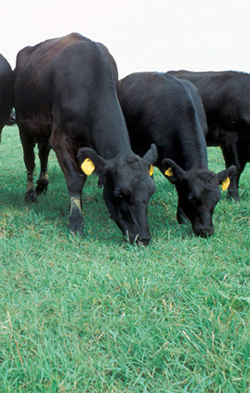 By USDA standards, grass-fed beef means that for the entirety of the animals life it must always be fed grass, forage, and “cereal grains in the vegetative state.” Checks are done on farms to ensure this process. What are the good things about grass-fed compared to grain? In short, it’s better for the environment, us, and the cow. It’s better for the cow because it’s more natural., When cows are fed grain it causes a more acidic environment in their stomachs, making them more disease susceptible, which in turn can lead to diseases. It’s also better for us because it contains more vitamins and fatty acids like Omega 3s and CLA .It also contains fewer calories than the same portion of grain fed meat. Sound like a win-win? Not altogether, in multiple blind taste tests grass-fed fell short. It’s also not reasonable to completely shift to grass-fed as a society, it take land we don’t have and twice the amount of time for a finished product for our growing population. There’s the facts, the choice is yours! Craft breweries have taken off. Can local hops production take off too? Hops are an ingredient used in beer production that gives beer a bitter flavor and hoppy aroma. Think about the taste of an Indian Pale Ale, also known as an IPA. Production of hops mainly takes place in Washington, Oregon, and Idaho. Production was forced out west due to problems with the diseases powdery mildew and downy mildew. However, several universities are conducting research, looking to bring production of this specialty crop back to the Northeast. 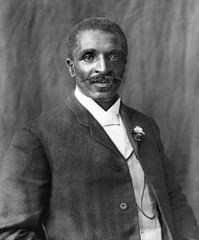 These universities include The Ohio State University and the University of Vermont. Due to the growth in the number of craft breweries coupled with the trend of buying local, hops could be a potentially profitable crop. In Ohio, it is estimated that breweries spend $4 million importing hops from the Northwest. To bring this crop back to Ohio, Ohio State is conducting research to develop specific production protocols and pest management strategies for Ohio. I recently moved and noticed that there were a lot of brown marmorated stink bugs. I thought that it was just something with the house until I talked with some family members and friends. They too have noticed a rise in these stink bugs. These bugs are a nasty pest with a strong, foul odor. Right when you think you disposed of the unpleasant critters, another is found right after the other. Unfortunately there is no good way to rid yourself of them. My mother and I have been finding them left and right, in every nook and cranny. A piece of advice: try to find where they are entering the house and block their entrance. These little pests were first discovered in the U.S. in 2001. Since then, they have become an agronomical and house pest without many predators to control them or any insecticide to kill them. 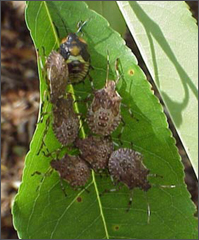 Because they are not being picky eaters, the stink bug can cause a lot of damage on several varieties of plants (many fruit crops, common landscape plants and crops such as soybean and corn). The bugs eat the fruit and the leaves on plants, leaving behind perforated and destroyed crops and ornamental plants that cannot be used or sold. I am fearful that marmorated stink bugs are going to be a pest that will take over and destroy a lot of food crops and ornamental plants that I work with every day. I dread what the world’s and my future might look like in the horticultural and floricultural industry in the next decade. It is relatively easy to get so caught up in focusing on how a single process may impact the environment that we simply overlook how a combination of agricultural production practices can alter biological processes. One specific example is the drastic decline in honeybee populations across the nation. An article, written by John Schwartz, featured in The New York Times – Program Looks to Give Bees a Leg (or Six) Up – puts the current honeybee situation into perspective, highlighting the impacts production agriculturalists may face as a result. In many cases, agriculturalists use insecticides to protect their crops from excess pest damage. These insecticide applications are not targeted to impact the bee populations but ultimately might. Schwartz includes information regarding the current actions that are being examined to compensate for negative effects of insecticide applications. Schwartz reports that implementing ethical management practices such as including hedgerows rich in pollen to provide food sources and protective cover for bee populations may have a mutual benefit to bee populations and agriculturalists. Many crops depend on bee pollination and bees depend on crops for pollen sources. Finding an acceptable balance between crop production and the health of honeybee populations well-being will likely result in beneficial outcomes for both. Today I’m going to take the time to talk about the use of social media in agriculture. It’s no new news that social media is the center of our society; in some ways good and other ways bad. The benefits of using social media are endless: quick, up to date information, directed at specific target audiences. Social media is also a great way to reach more than just the agriculture industry. Social media opens the door for agriculturalists to connect and educate others about what agriculture is and how it is relevant to our daily lives. I’ll use some of my own examples to explain the ideas above. I like to go about educating others about agriculture through pictures. I love Instagram. When I am at an agricultural related event, which is a lot, I take lots of pictures. However, simply posting those pictures doesn’t do the deed. Every picture needs an interesting and informative caption to go with it. In the past few years hashtags have also become a vital part of social media. Using a hashtag will group your post or photo with other similar hashtags (Example: #foodthanks). Another reason I like to use Instagram is the ability it gives me to post my photo on other social media sites like Facebook, Twitter, Tumblr, etc. Posting the photo to other media sites allows me to share the information with hundreds and thousands of other people. Social media should be used to the best of its ability to promote and educate the greater population about the prominence and lasting effect agriculture has in our society.